I first met up with local fly fishing guide, Josh Gallivan, at Thai Me Up after he countered my initial offer to meet at my office for an interview for this blog. I guess he had worked up an appetite and thirst from being on the river all day and the food and beverage offerings were much more abundant and tasty at this local hot spot than at my office. My first impressions were that he looked like a young Stephen Dorf, and was dressed as you would pretty much expect your average fishing guide to dress; baseball hat, flip flops, and a Patagonia button-down shirt. He later listed “anything Patagonia” as his favorite piece of gear when I asked (Patagonia if you are listening you should sponsor this guy ASAP). Being a fly fishing guide is not a 9 to 5 gig for Josh, but rather it’s a lifestyle and he’s pretty much consumed by it. Gallivan is a Jackson, WY local, born and raised and at the young age of 28 is already a seasoned and knowledgable fishing guide with seven years in the guide game. His energy is palpable and contagious, and he wants everyone to be as stoked about fly fishing or travel or conservation as he is. He’s obsessed about learning about his craft and sees the world through a smile and a sense of adventure that we would all like to have, but few actually possess or even act on. He’s made a lot of sacrifices to dedicate himself to being a fly fishing guide, such as giving up snowboarding in the winter or spending time away from his girlfriend and family because he doesn’t like to change gears, so he keeps traveling in winter to exotic locales to be where the fish are. He rattles off a quick list of places that he’s been lately that would be a decent bucket list for just about anyone’s lifetime travel plans; New Zealand, South America, Fiji, the Bahamas. In fact he’s seen 15 countries in the last two years, and often he’s gone alone to just fish. Listening to his tales of travel and adventure makes him sound like a modern day Jack Kerouac of fly fishing. He says when you travel alone you make friends and are more available to the world. And adds that before you go on a 21-day hitchhiking boat trip with someone, you should get drunk with them first to see if you’ll even be able to stand them. Not only does all his wanderlust travel inspire him, but it also gets him future business, which is important because one of his goals is to be a guide year round not just in the summer, so he needs to grow and sustain his brand. 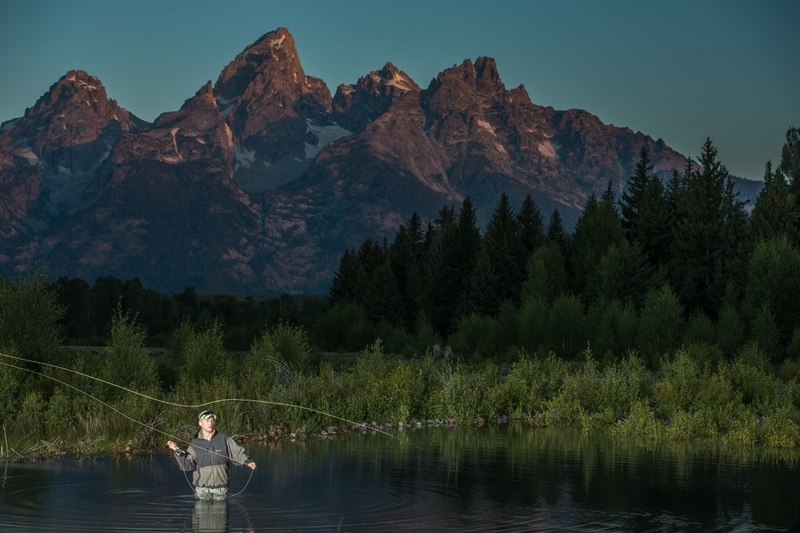 The world after all is 85% water, which makes for endless fly fishing and travel opportunities. He’d love to eventually bring clients around the world, where he could hire local guides and bring money into the countries he came to visit and fish in. In order to chase his dreams he needs to live in van in New Zealand, while the rest of us punch clocks and sit at desks. He’s always the happiest guy in the boat on the river. Fishing for Josh is not a living, but more of a life. He often has clients, well to do lawyers or surgeons telling him that he’s the one that has this thing called life figured out. People often question themselves while on the river. It probably has something to do with the peace and solitude or maybe it’s just the simplicity of the fishing act. When you find yourself standing in a river you are in the moment, it’s like a zen level. All you need is a fly rod and a license. There is no other place you need to be. When the guiding season winds down, Josh will be working with Sheets Studios this fall to make a film about the Snake River. He grew up on the famed Snake, so this story is personal for him and he wants future generations to enjoy it like he has. 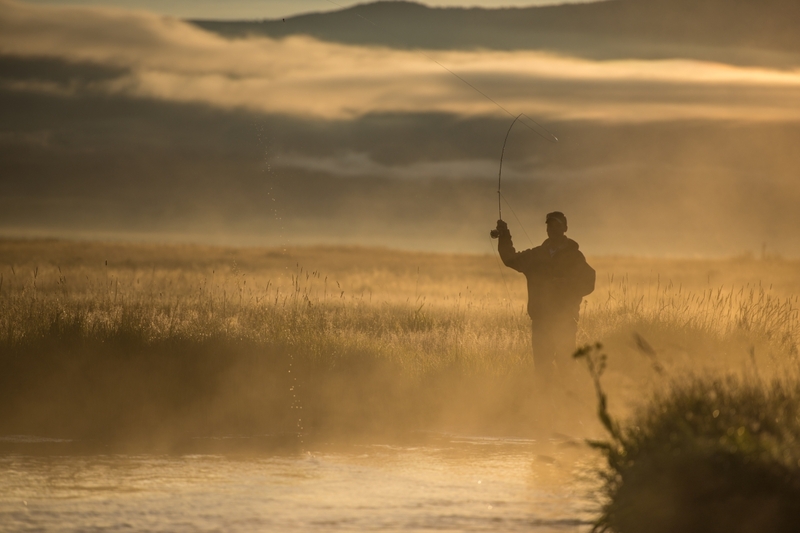 They envision the project to be an all American film about fly fishing in the west that touches on themes such as the Jackson Lake Dam, recreation, and environmental sustainability. He doesn’t even have to think about it when I ask him what is the most important thing he’s learned on the river. He takes the last sip of his Thai Me Up crafted, aptly named 2×4 beer and says, “Conservation…appreciating and saving fish.” Then just like that, he’s off to meet some clients for a bit who just texted from another close by watering hole, before he wants to wake up at 6:30 am and do it all over again. For more info on Josh and his fishing adventures or to book a fly fishing trip and quite possibly have your life changed, check out his website joshgallivan.com.